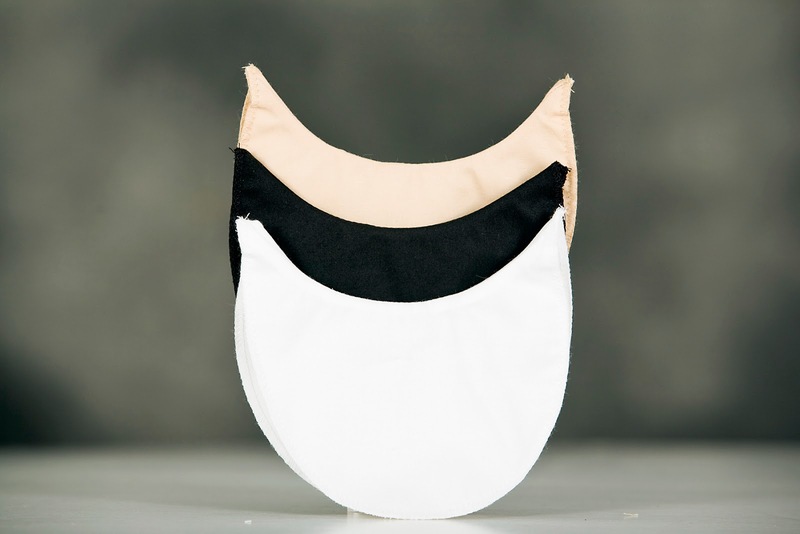 Sweat Pads describe either disposable or reusable underarm shields for men or women. These products have been available since 1869 when Isaak B. Kleinert’s invented the category in New York. Soon after Kleinert’s was a household name and its products were worn by virtually everyone as these items protected the garments from deterioration due to sweat wet-thru, staining and odors. Today, Kleinert’s shields are still protecting men and women around the world. Kleinert’s sells its underarm sweat pad products directly to consumers over its internet site as well as to trade groups and stores. Disneyland and the West Point Cadets are among our celebrity clients. Both use our sweat pads for the same reason they were used over 140 years ago namely to protect the clothing or costume from wet-thru, stains and odors causing embarrassment and deterioration. Sweat pads are a highly effective and inexpensive means of protecting clothing and since over 4% of all US consumers experience chronic hyperhidrosis or excessive sweating daily, these are needed products. Additionally, it is estimated that 33% of all individuals will experience once a week a day of heavy sweating in which they feel they need added protection. As a result, we have launched clinical antiperspirants to meet these needs.